EasyJet Cabin Manager Fionnuala Keenan (left) and Deborah Harris from Belfast Airport (right) with Q Breakfast team Stephen and Cate. 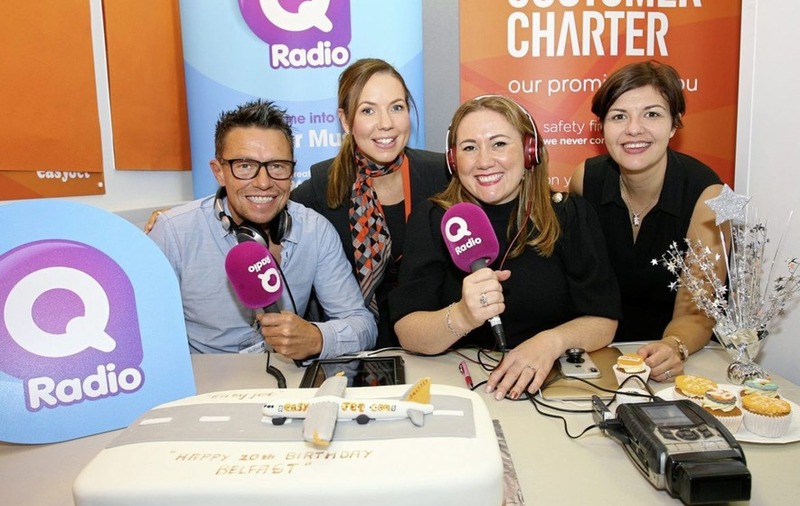 BUDGET airline easyJet is celebrating 20 years of flying passengers to and from Belfast International Airport. In two decades easyJet has grown to become the largest airline at Belfast International and in Northern Ireland, flying 54 million passengers in that time with over 4 million flown last year. EasyJet's very first flight from Belfast – to London Luton – took off on the evening of Friday September 18, 1998 and since then the airline has gone from strength to strength. This year easyJet welcomed its sixth A320 family aircraft to the base and launched four new routes to the Isle of Man, Valencia, Venice and Naples, bringing the number of easyJet routes now serving Belfast to 35. easyJet now carries more passengers from Belfast to Spain and Portugal than any other airline and links Belfast with more London airports than any other airline, providing up to 200 flights a week. 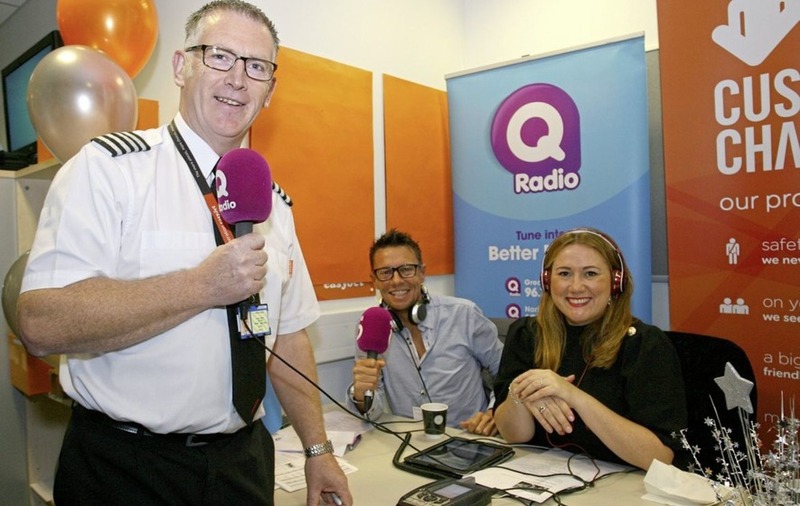 “Our ongoing growth at Belfast International Airport demonstrates easyJet's long-term commitment to Northern Ireland and as the largest airline we are proud to have carried 54 million passengers in that time.